Did you know that the presence of plants provide a calming effect in our surroundings?That is why decorating your home with orchids helps you relax and helps reduce stress at the same time. Which in addition improves your mood, and the risk of getting some cardiovascular diseases and some other chronic illnesses. 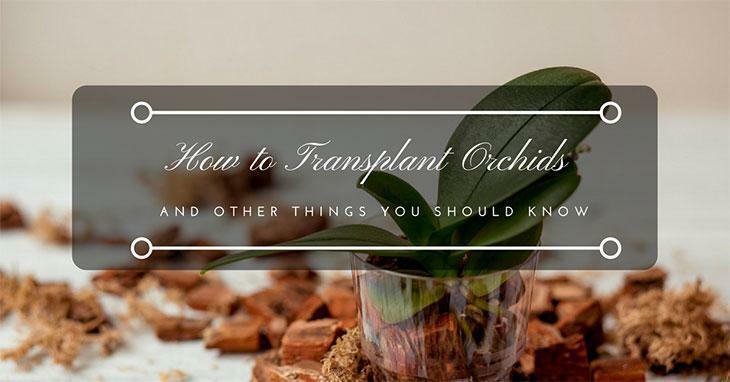 To make sure you get the most out of your it you should also know how to transplant orchids. Furthermore, it increases the environment’s humidity content, which is a good sign in avoiding seasonal illness such as a cough, dry skin, and sore throats. Not a coincident but if you notice, orchids are one of the popular gifts most friends or hospital visitors would likely give. This is because, according to research, a higher humidity level can decrease the likelihood of spreading the flu. So it doesn’t only give happiness to the patient, but at is also beneficial to the patient’s health. Plus, it could possibly brighten up a dreary hospital room, making everyone inside feel better. ​Orchids may look stunning and may provide glamorous blooms to most of us. However, many would belittle them because we only know only few things about them. Let me tell you a secret. Did you know that orchids are very important to Chinese? Yes, they are! Because according to Feng Shui, orchids are known to be the “King of Fragrant Plant” which means they represent fertility. That is why they believe that orchids should be given extra care. For this to remain healthy, they must be transplanted periodically. This is to provide the plant a fresh potting mix as the old mix breaks down. Orchids are extensively acknowledged as the most highly evolved of all flowering plants. They are the largest flowering plant family on earth with widely about 30,000 species and 100,000 varieties. They’re also one of the oldest plant families establishing about 84million years ago. Technically, an orchid is a flowering plant that exhibits a particular reproductive strategy. They are very specialized organisms and they are indeed real primitive plants. Orchids acquire their name from the Greek word orchis, which means testicle because of their fleshly underground tubers, which looks like testicles. All orchids have both the female and the male reproductive structures merged into a single structure, which is generally called as the “column". It also shares some other floral characteristics, including a highly modified petal called a lip, or labellum. This serves as a landing pad of sorts. That can be seen often at the bottom of the flower while some are located at the top. They can be easily seen in most of the common orchids, but are difficult to find in some, especially the small ones. The orchid has been in high regard since ancient times and it symbolizes love, beauty, fertility, refinement, charm, and thoughtfulness. While all flower orchids exemplify beauty and love, the meaning of the flower will also modify depending on its color. Green orchids are thought to bring good fortune and blessings. They represent good health, nature, and longevity. Orange orchids signify enthusiasm, boldness, and pride. Yellow orchids represent friendship, joy and new beginnings. 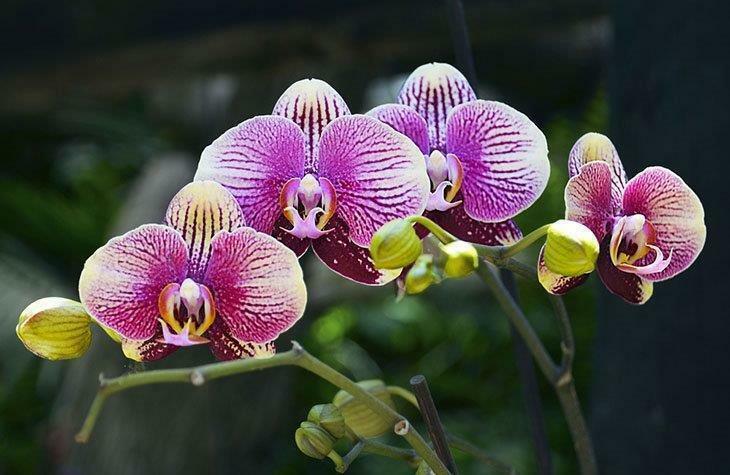 Purple orchids embody admiration, respect, dignity, and royalty. White orchids illustrate reverence and humility, innocence and purity, and elegance and beauty. 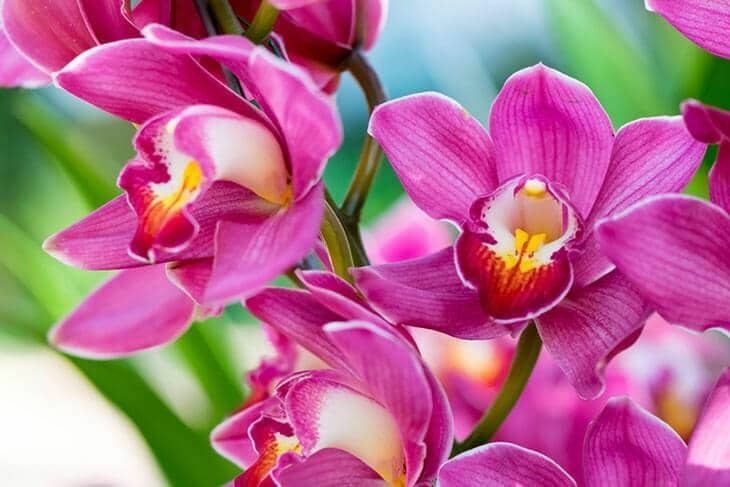 Pink orchids symbolize grace, joy, and happiness and can also symbolize innocence and femininity. Red orchids symbolize passion and desire, but can also epitomize strength and courage. And finally, blue orchids represent rarity. Orchids are often grown as houseplants or added to floral displays. But, not all orchids are tropical beauties. Some orchids have earned the reputation of difficult to grow and some are just surprisingly easy to grow. Every now and then it is important to transplant the orchids because they don’t like being in the same media forever. Therefore it’s a must to know how to transplant orchids before buying one. There are different types of transplanting, some are transplanting orchids in a bark, and sometimes you have to divide them. So you also need to know how to divide an orchid. They have different requirements in terms of potting medium for orchids, so do yourself a favor in choosing a medium that fits best to your orchids to ensure success. The primary principle of transplanting is to provide fresh media, not necessarily a larger pot, but pot size should be selected according to the size of the root mass. You can tell when your orchid needs transplanting by checking if it’s growing out its container, or when the potting medium starts to break. Also, when orchids grow in a very chunky medium, and it breaks down into smaller bits. Making it hard to drain. Change out the medium to give the roots the air they needed. A transplanted Phalaenopsis orchid with healthy roots and potting soil for orchids. You should always ask experts when is the best time to repot orchids? Choosing the time of the year is another factor to consider when you want to transplant your orchid. If you have orchids that produce pseudobulbs, transplant it right after flowering and before the roots begins to grow. However, with regard to the other types of orchid, it can be transplanted anytime. Just not when it is in the process of producing flowers. ​Plants planted in clay pots will need more frequent watering because they will dry out a little faster. And always choose pots with drainage holes because the roots will be wilted, hence making the plant dead when it is in contact with standing water. Transplanting orchid avoids their roots from getting congested and from getting jam-packed. Since roots that are too crowded will affect the production of gorgeous blooms for years to come. ​By following these steps, you will be able to learn to determine when the orchid is ready to be transplanted without damaging them. Don’t re-pot when it’s not necessary. The appropriate timing is usually one to two years. Re-pot when the orchids become infected with pests or bugs. When the plant is growing new leaves or roots. When the pot breaks or there is no proper drainage. Consider the pots size and style when repotting. Make sure to check for the presence of drainage holes. Anticipate a 2-year growth allowance when choosing a pot. Prefer shallow pots with holes in the sides to prevent water buildup and to allow airflow. Coconut husks, perlite, fir bark, and sphagnum moss are the common medium for orchids. Most orchids grow on trees, making them difficult to grow on regular potting soil. A very loose soil is recommended with added organic materials such as barks. Water them three days prior to repotting. Just enough for its growing medium to be moisten. Most of the new mediums are dry when it’s new. So, it is best to soak it first for one to two hours. Use a fine-mesh strainer and strain the medium using a running water to remove the dust. Hold the cutting tool over an open fire until it turns red hot in color. Or soak it in a disinfectant solution for 20 minutes. Another way to sterilize is to boil it for 20 minutes. Cover the top part of the pot and gently turn the orchid upside down. Gently wiggle the orchid back and forth when it’s clinging to the pot. When necessary, cut only the stems or roots if you cant loose the orchid from the pot. Preserve as much root as possible. Rinse the roots with warm water to remove any remaining medium. Getting rid of the old medium is to ensure that any bugs are destroyed. This is also to make sure that the orchid would get the most nutrients possible upon transplanting. Before trimming your orchid, check first for possible dead roots, leaves, stems, or pseudobulbs. Use only a sterilized cutting tool when trimming. Only trim those soft and brown roots, yellow leaves, and shriveled pseudobulbs. When transplanting multiple orchids, use cinnamon to sterilize your tool. You can sprinkle the ends of any leaves, roots, stems, or pseudobulbs that you will be trimming. You can also use an orchid-specific fungicide as an alternative. Gently place the roots inside the new pot and make sure it is with the same depth of its old pot. When the orchid appears to be too low, add a layer of medium at the bottom. Position those orchids with single major stem in the center of the pot. Properly position at the edge those orchids with pseudobulbs. Put enough amount of medium to the pot so that it reaches the base of the orchid. Gently press the medium in and around the roots with the use of your fingers. Tilt the pot carefully from side to side to ensure the plant won’t flop around. Make sure that the medium is in place by gently tapping the bottom against a flat surface. Once the roots start to grow, spray the orchids with water. Do this for three weeks. Soak the medium when the orchids start to be settled. Water it very two weeks once it is fully established or when the medium becomes dry. Fertilize the orchid once a week following the 20-20-20-fertilizer solution ratio. Orchids tend to be heavy when they started producing flowers. To prevent them from slumping, put a stake. Place a thin bamboo stake into the middle of the pot. Gently tie the middle part of the plant to the stake with a soft string. Make sure to provide filtered sun only to your orchids. Mist the leaves, stem, and roots at least twice a day. Return the orchid to its regular place after a week. But still no to direct sunlight. It is ideal to place them under a shade or behind a curtain. Keep it out from direct sunlight for about a week. In either case, it's a good idea to take a few steps to guarantee you're getting the healthiest plant possible, one that will hopefully survive long past its first bloom at home. Yes, you want some with colorful and fancy flowers, but still have to consider more important factors like the wiggle factor, the leaves, the roots, the bulbs and the blooms. Orchids bring beauty and grace to any occasion with the flowers that they produce. They add a style for the unusual to floral bouquets or can be simply used as potted plants as centerpieces during special occasions. Orchids give the world the sweet scent of vanilla too. Perhaps the best reason that they are so fun to grow, is the mere fact that it provides a beautiful view to us, thus making us relax and forget our problems. It is a common myth that all orchids are tropical. With that many species to choose from, you can never run out of new plants to play with. 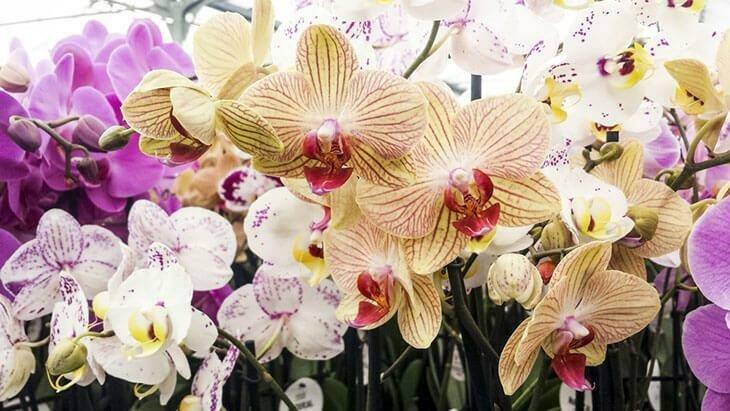 They are definitely not a bad choice whether you prefer to have an expensive or an affordable type—because these beauties add more artistic value to your garden, especially if you’re a master on how to transplant orchids at the right time. They also serve a lot of purpose to us human beings, as mentioned above. So, don't hesitate to invest in this matter since you'll never go wrong if you choose the loveliest orchids available! So what are you waiting for? If you haven’t grown any orchids yet, start getting one now. 5 Best Climbing Plants for Trellises: Should Have In Your Garden!